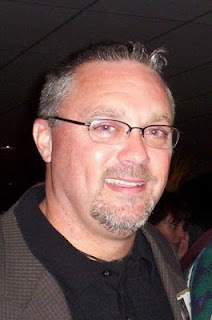 My name is Steven Harz and I am a Connecticut-based writer who was born in West Virginia and grew up in Maryland. In some of my work these places are very much a part of the story. When I’m not writing I coach football and play taxi driver to my kids. 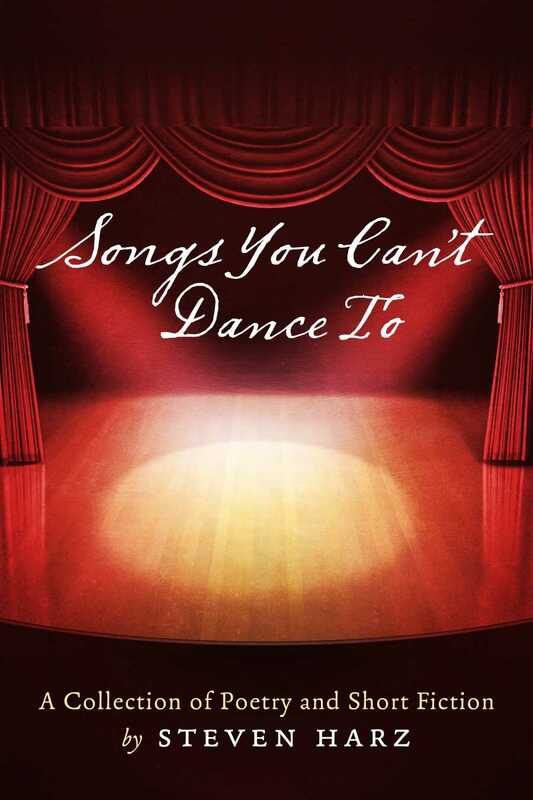 “Songs you can’t dance to” is a collection of poetry and short fiction with themes ranging from the anticipation and joy of new and maintained love and the sorrow and pain of longing and loss. I’d been wanting to write a book for about ten years. At first I was writing a novel but somehow, organically, shifted gears to shorter fiction. The poetry came later and was, for me, a great way to get ideas out of my head and onto the page in a stream-of-consciousness fashion. Not only and I a firm believer that books get judged by their cover, I am confident that people select books by the title as well. At least I do! 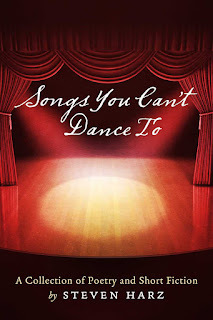 In actuality, I came up with the title “Songs you can’t dance to” even before I wrote the poem that goes with it. I just liked what thoughts and ideas that phrase conjured. A lot of the content in “Songs you can’t dance to” is based in some type of reality. Whether stories about high school loves or the impact of 9/11 or rediscovering love in middle age, much of this is autobiographical. I guess when I was taught “write what you know” I took it to heart! This could be a very long list, but if I were to pare it down and make it digestible I’d have to go with the following. “A Prayer for Owen Meany” by John Irving is one of the main books that made me want to put pen to paper – and has the greatest opening sentence in history. “The Little Prince” by Antoine de Saint-Exupéry should be required reading for anyone who is involved in interpersonal relationships, namely all of us. And anything by Dave Eggers – his blend of humor and heartbreak is second to none. I am in awe of him. Well, my grandfather, Ben Hale, was a writer (“How to Program Yourself for Success”) and I take after him in many ways so he was definitely a mentor, and is missed by all. From a poetry standpoint, I really enjoy, and am inspired by, spoken word poets Sierra DeMulder and Shane Koyczan – they are certainly mentors from a distance. Since she’s young I’ll consider her new – I’ve read Sierra DeMulder’s “New Shoes on a Dead Horse” a few times. This poetry collection is beautifully written and I am amazed at her grasp on situations and emptions at her young age. I am always writing. I try to complete a poem or two each week and will then revisit them a few weeks later to edit and revise. My next book, to be published later in 2013, will be another collection of poetry and short fiction. The tentative title is “An umbrella for the bomb drop”. My interest in writing began, I suppose, with my appetite for reading at a very early age. As a young boy I’d ride my bike to the library a few times a week and loved being surrounded by all of the books. I still feel great when I walk into a library. About a dozen years ago I began thinking to myself that perhaps I could do this and that’s when I began writing a blog. I love John Irving, Sherman Alexie, John Updike, and Dave Eggers, but from a poetry standpoint – since that’s mainly what I do, it’s Shane Koyczan. I enjoy his printed work, but am especially moved by his spoken word delivery. He reaches into your heart and your head and pulls you into his way of thinking. He’s a tremendous storyteller and has the ability to verbalize his stories in a way that will know you off your feet. I self-published with Book Baby and their team did the cover design. I gave them a pretty specific idea of what I wanted and they nailed it. I was very pleased with the outcome, as it was almost exactly as I’d pictured it in my mind. For me, in that I had more than enough material for the book, was to perform triage and decide what was in and was wasn’t. It was the “Sophie’s Choice” of writing – well, maybe not that bad… The good news is that much of the ‘leftover’ material will find its way into my next book. It’s not that it wasn’t included this time because it wasn’t good, it’s just that I needed to provide some balance. I learned that I could remove myself from my comfort zone when needed – I began this process by writing what was ‘safe’. As I continue my writing journey I will continue to challenge myself. Always have a pen and paper with you – you never know when your next great idea will strike! Yes, I’d like to thank them. That you have bought my book, and in many cases written such beautiful reviews, is extremely humbling. The main challenge with “Songs you can’t dance to” was actually putting it out there. I write in a vacuum and in all honesty not many people knew that I wrote at all. A few family and friends stumbled, accidently, onto my first blog but for the most part I kept this fairly quiet. Since much of the material is autobiographical there is a fair amount of uncertainty as to how it will be received.